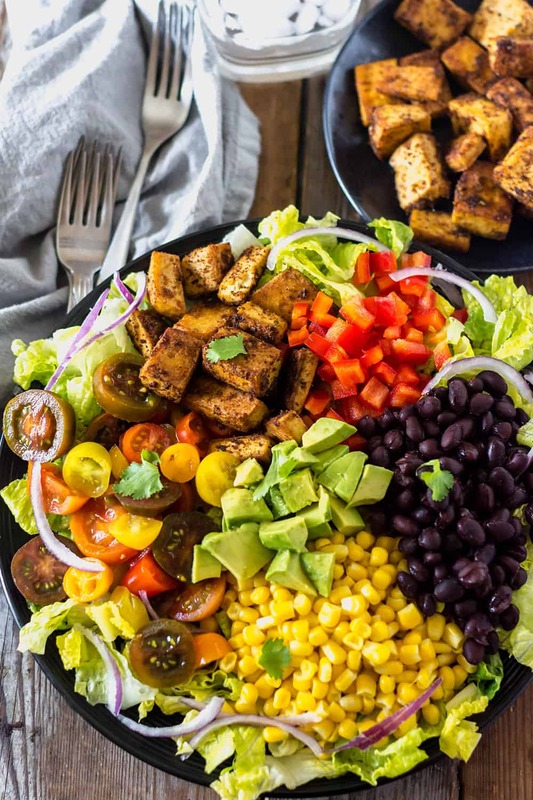 Serve this crowd-pleasing fresh, vibrant and healthy Southwestern Tofu Salad for your next special occasion, for lunch or a quick and healthy weeknight dinner. 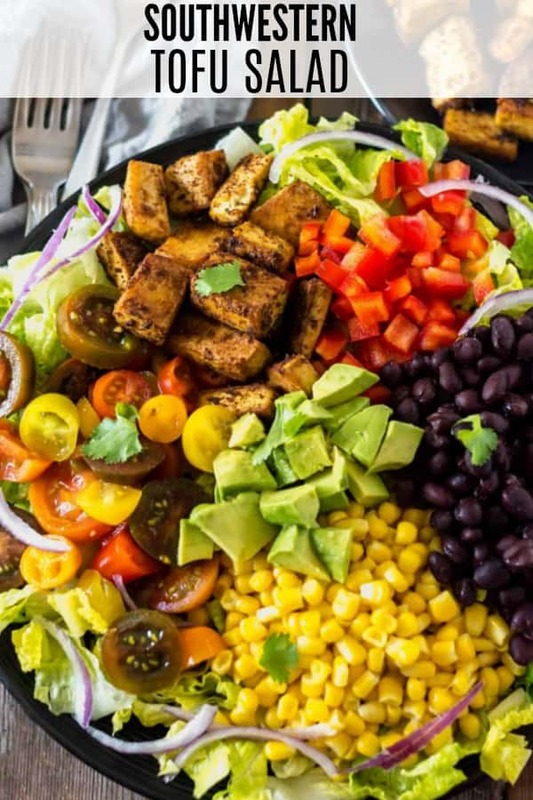 Deliciously seasoned tofu served with black beans, tomatoes, sweet corn, avocado, bell pepper, on a bed of lettuce lots and drizzled with a lime dressing for a healthy gluten-free, vegan treat! Here in Florida, we are enjoying lovely weather, yesterday it was in the 80's and today we are in the upper 70's. 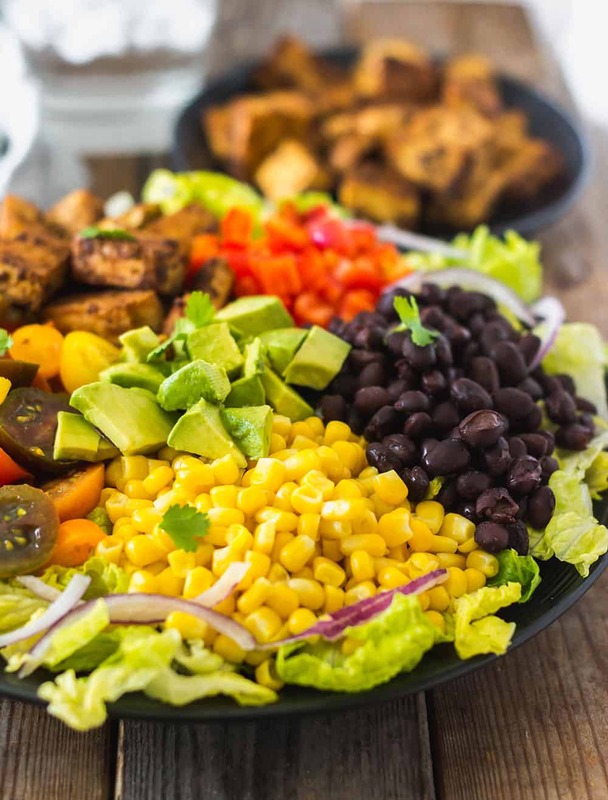 Perfect time to make this delicious Southwestern Tofu Salad. I must say it was quite a filling yet leaves you feeling refreshed and energized. the lime dressing was bursting with flavors and it really took this salad to the next level. 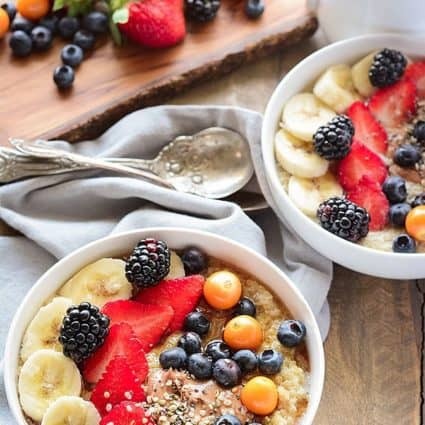 It reminds me of my Southwest Quinoa Salad and Black Bean Salad with Creamy Avocado Dressing. 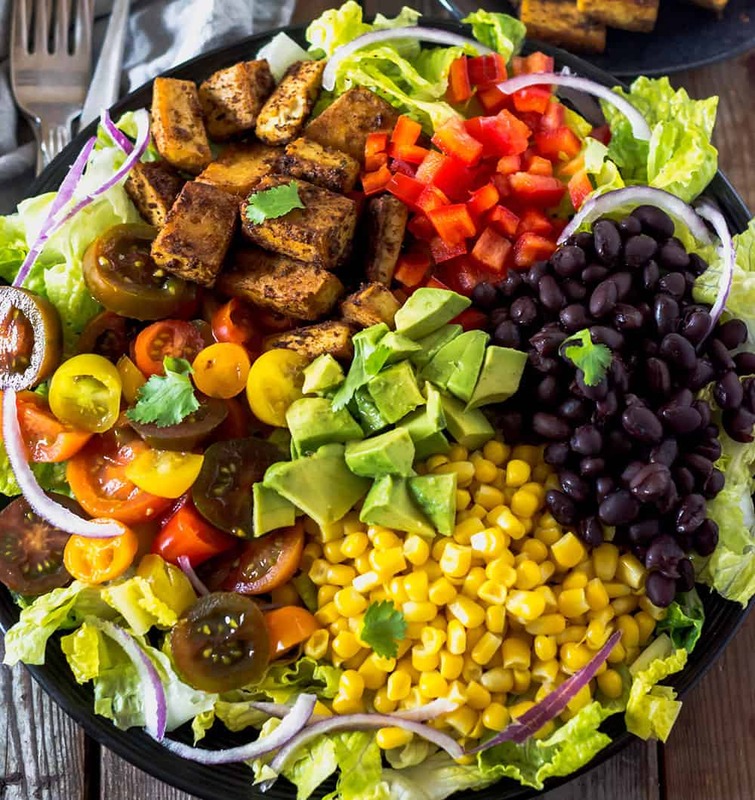 To prepare Southwestern Tofu Salad, you basically season the tofu, sauteed them until brown in a skillet. Make the dressing, prepare the beans and vegetables and put them all together and drizzle with dressing and serve. Such an explosion of flavors in every bite. 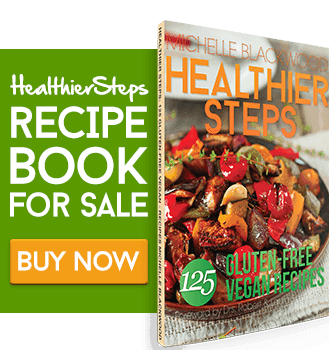 This tofu salad is very adaptable, you can substitute the tofu for my Cauliflower Nuggets, and you can substitute the vegetables for your personal favorite and how about substituting the lime dressing for my Creamy Chipotle Ranch Dressing. I used Trader Joes or Wildwood super firm high protein tofu for the best firm tofu, they are so firm that you don't have to press the tofu. Tofu Salad is so easy to make, it is perfect for those busy weeknights when you have had a long and hard day at work and you are really not in the mood to make a 3-course meal. 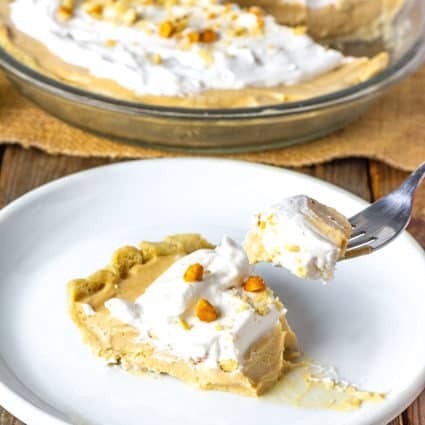 This dish will literally not only save you time but it will also be a family favorite. 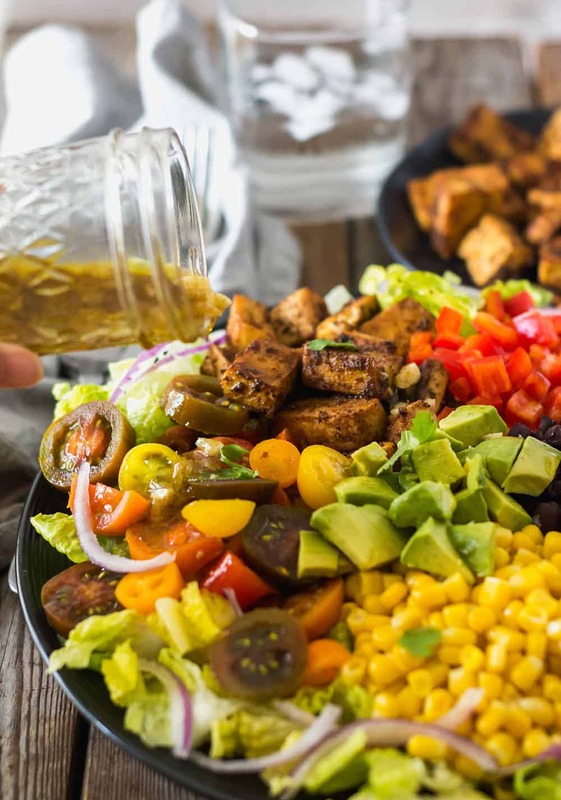 If you make this southwestern salad, snap a photo and hashtag #healthiersteps — we love to see your recipes on Instagram, Facebook & Twitter! Place tofu cubes in a large bowl, toss with Bragg's liquid aminos, cumin, paprika, garlic powder, onion powder, dried oregano and cayenne pepper. Allow the tofu to marinate for at least 10 minutes. Heat oil in a large non-stick skillet over medium heat. Add tofu cubes and cook until brown and crispy on all sides. Turn off heat. To make the dressing, mix lime juice, olive oil, maple syrup, cumin, green onions, garlic and salt in a bowl or jar. 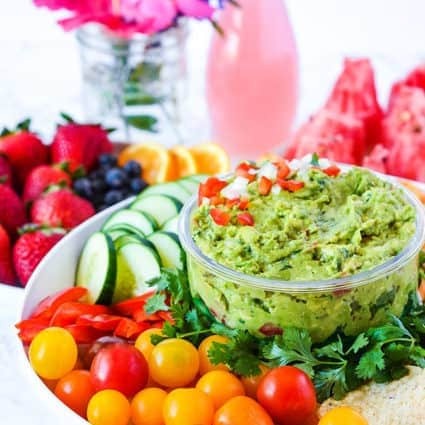 To assemble, place chopped lettuce on the base of the serving platter, top with black beans, avocado, cherry tomatoes, bell pepper, onion, and cilantro. Drizzle with lime dressing right before serving. Enjoy. We love this salad. The tofu is to die for! My husband who isn’t a tofu fan requests this salad often. And my toddler can’t get enough either. So delicious, thank you! Thank you so much Angela for your feedback, I’m so happy your husband and toddler love it. This is sooo good, and the tofu is the star! I am going to start making batches of it just to keep in my fridge to snack on. I doubled the tamari because I’m a salt fiend (don’t judge ? ), but I’m obsessed. (Tip, it’s also amazing in black bean, avocado and sweet potato burritos!) Thank you so much for this, I’m always looking for new and exciting ways to season tofu and this is for sure a favorite. Wow thank you for your feedback, I understand that you doubled the Tamari, salt is also my weakness. I’m so happy you enjoyed. This is my go to salad. I prepare my tofu ahead so I can just add all this fresh ingredients. I’m so happy you love it Jessika, that is a great idea to prep the tofu.